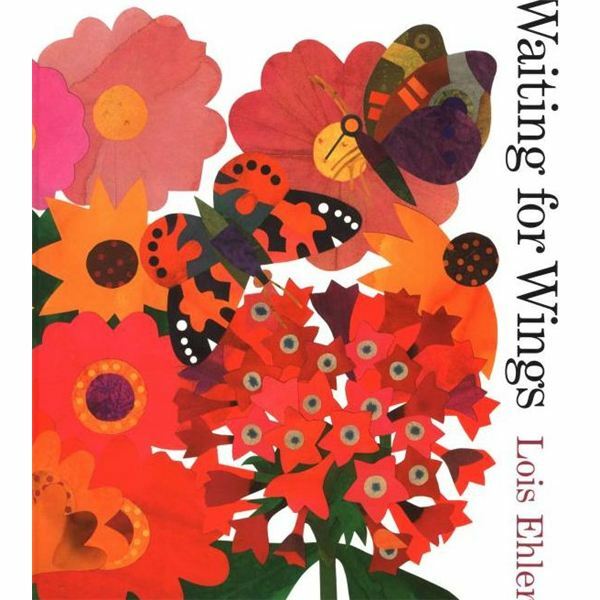 After reading Lois Ehlert’s book “Waiting for Wings” in this butterfly preschool lesson plan, students will be excited to make their own butterfly life cycle book. Read and discuss the book Waiting for Wings by Lois Ehlert. On chart paper, draw and label the four stages of a butterfly life cycle. Go back into the book and find each stage. Talk about what a cycle is and point out the end where the adult butterflies fly off to lay eggs. Give each student a stapled, blank book and the title and life cycle labels. Read the title and tell the students to glue it to the top of the first page of their book. If the labels are on one page, have the students cut them out. Go over the stages again and show the students how they can use your chart to help them read their labels. Show them how to glue each label on a separate page in order. The egg stage will be on the same page as the title. Then they can use their crayons to draw and color illustrations for each page of their book. Have students read their books to you. Check to see that they are sequenced correctly and that the pictures match each stage. Use this book to teach about what caterpillars and butterflies eat. Talk about how butterflies sip nectar from flowers and about how flowers have bright colors to attract them. Read other books about butterflies. A few good ones are Don’t Worry Bear by Greg Foley, The Very Hungry Caterpillar by Eric Carle, and From Caterpillar to Butterfly by Deborah Heiligman .